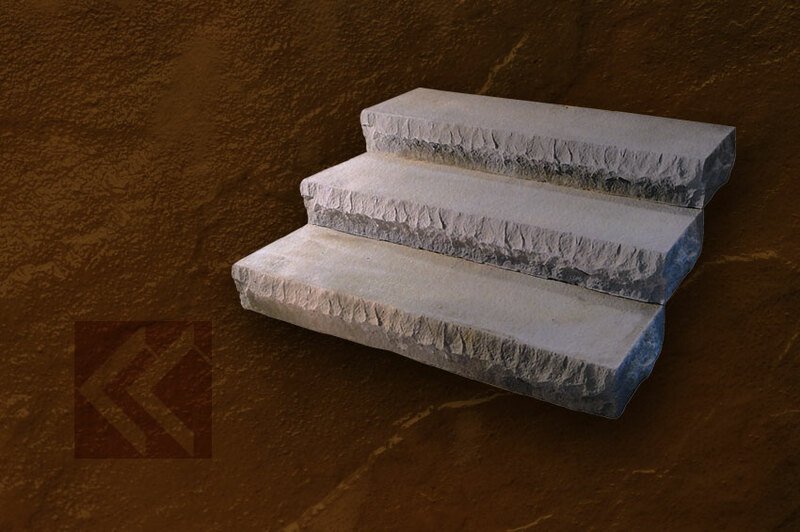 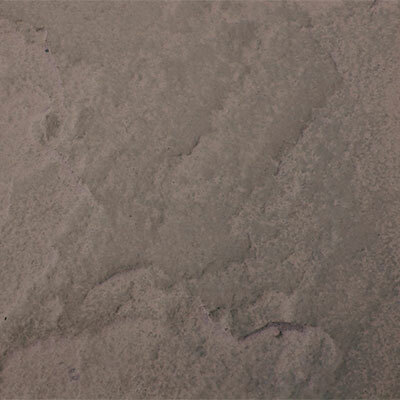 Our Quarry Steps are made under the most stringent standards and are steel reinforced so that you need only enjoy. 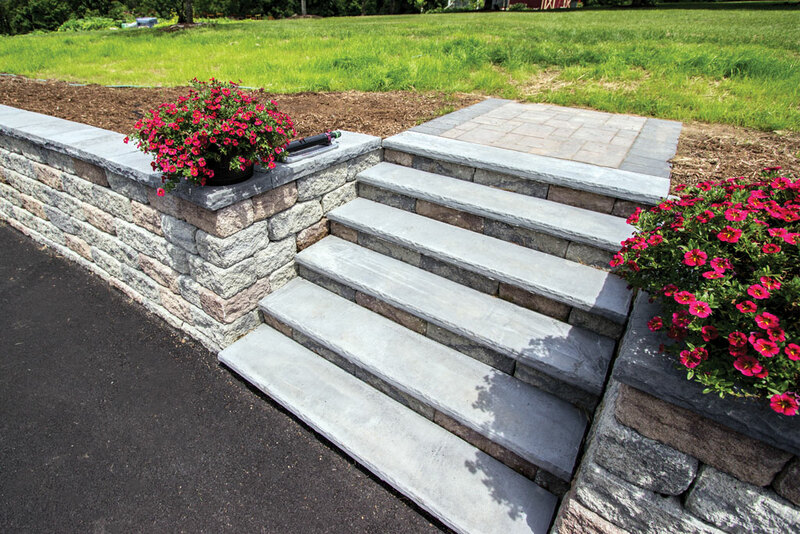 With heavy Chiseled textures on three sides, these steps can be used with a retaining wall or just as easily stand out on their own. 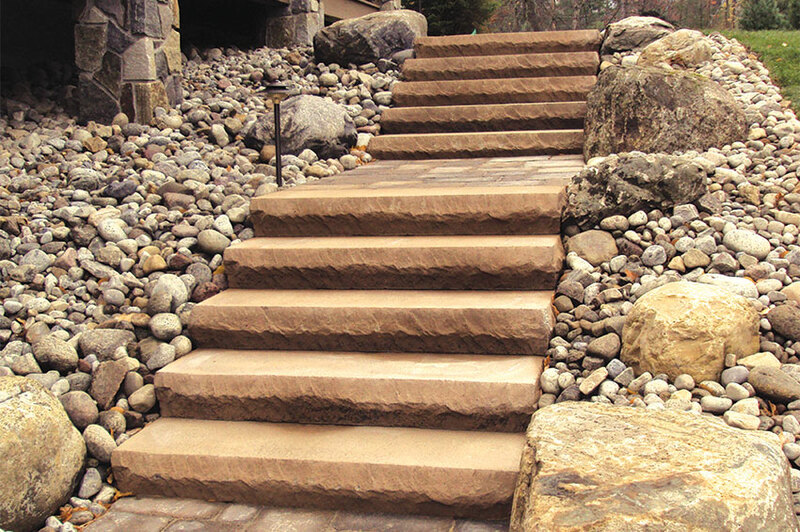 Ease of installation makes the Quarry Step an economical solution for steep side hills and other functional design elements. 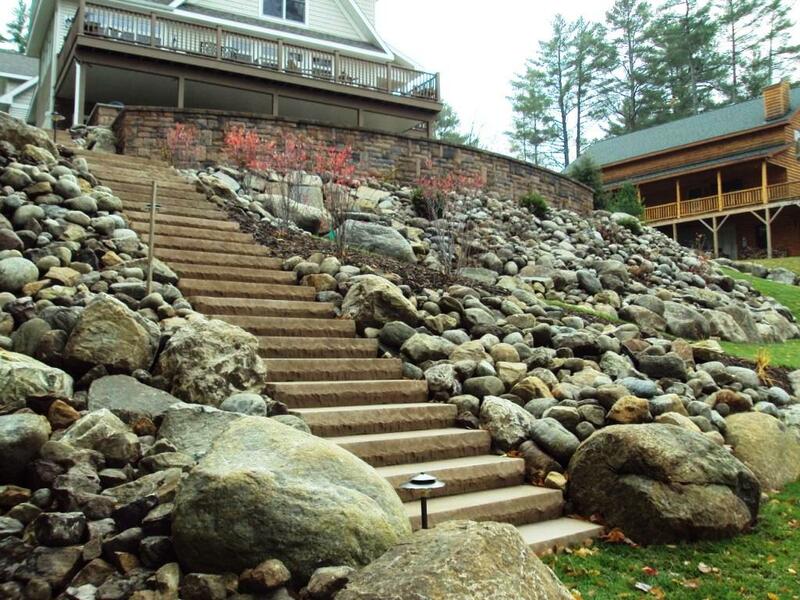 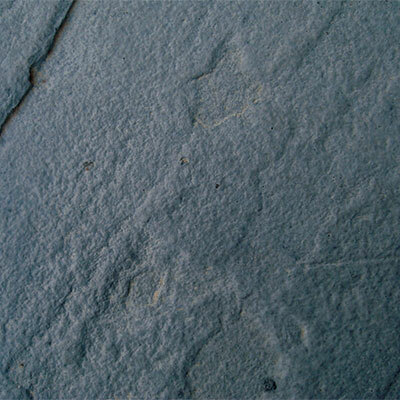 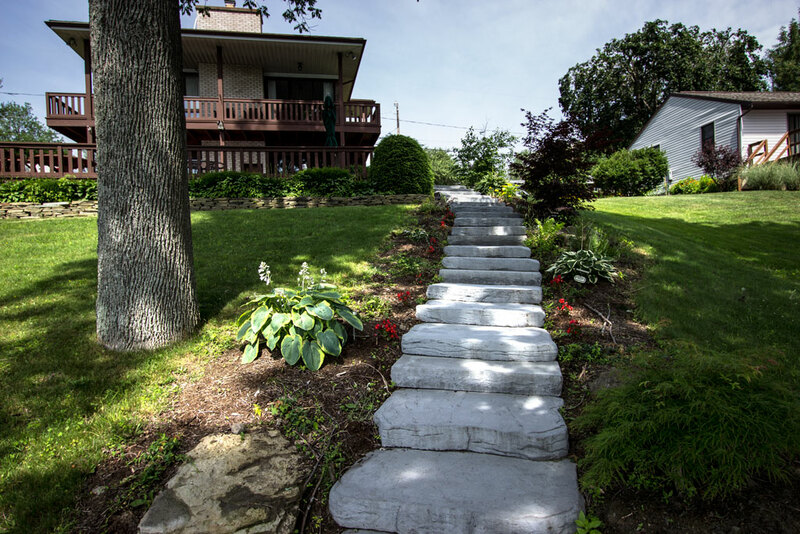 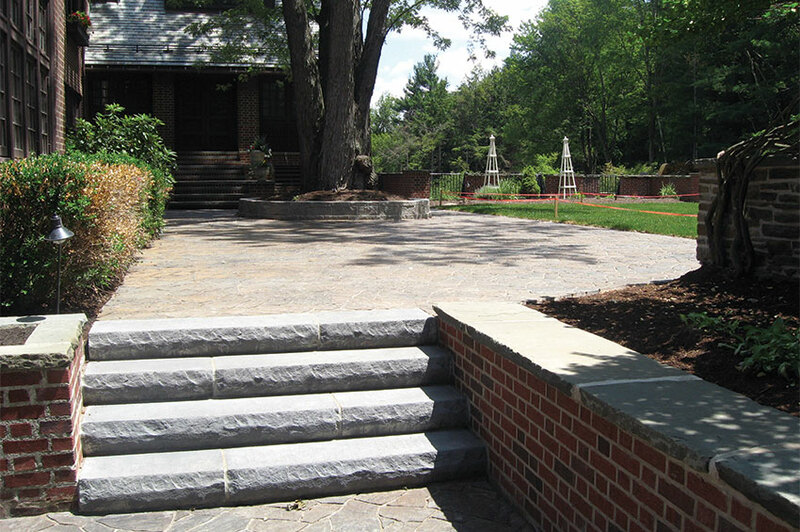 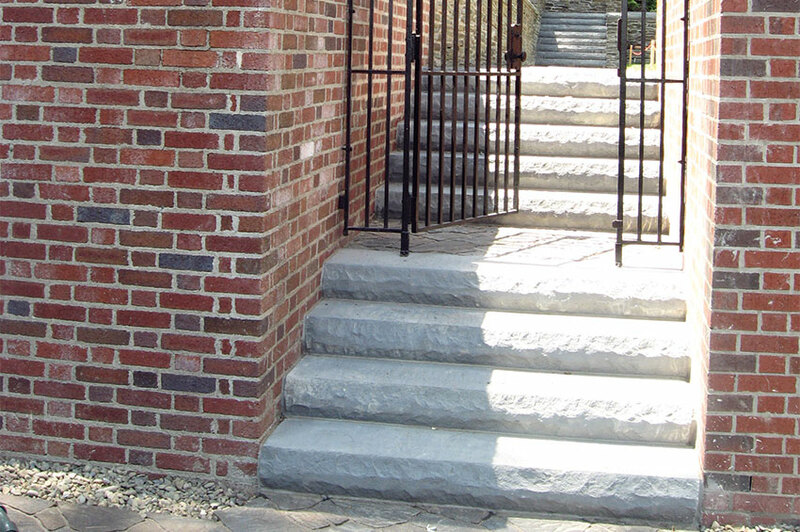 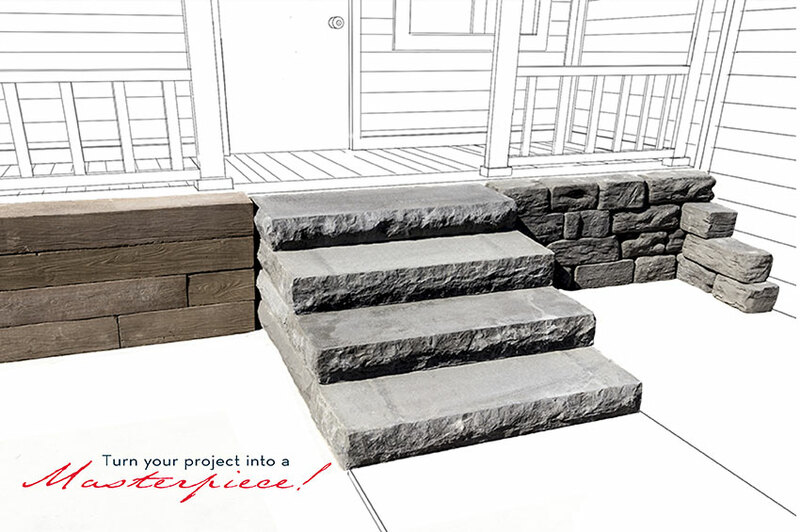 Quarry steps are sure to stand out above other traditional step installations.